The truth is out there, and someone, somewhere, has set up a podcast to share that truth with everyone else. Science is an engaging topic; most people are innately curious about the world around them, and how things within it work, but few people have the time to sit down and read dedicated, academic science texts. Science podcasts meet a very real need: engaging, informative discussion on the science of the everyday, from everyday objects to illnesses and experiences most people are familiar with, in an easy-to-access format that doesn’t require any academic background to be able to follow the discussion. This is a brand-new podcast from NASA, with a title that is scientific all by itself. As the podcast blurb explains, ‘gravity assist’ refers to the practice, in space exploration, of a spacecraft using the energy of a planet’s orbit to alter its own trajectory without any additional fuel or energy input from the craft itself. This podcast features a lively presenting style which will engage teenage and young adult listeners, whilst not being too informal for the likings of older audiences. A relaxed, casually informative podcast which appears to be going in the direction of shorter (under 30 minute) episodes, Gravity Assist starts with scientific facts that most listeners will already be familiar with, a natural way to build a rapport, and position the podcast as being respectful of the intelligence of its listeners, and then moves on to discuss less familiar aspects of related science. As this is a natural learning pathway, the podcast excels at being informative without info-dumping. An educational podcast that never makes you feel as though you’re back in school, this would be a good way for students to back up more formal revision, or an easy way for other listeners to engage with the science of the world around them. You might have seen the host, Bob McDonald giving a couple of popular TED talks. Although this is slightly let down (on my Windows phone) by requiring more than one click to actually play the podcast, it redeems itself by clearly labelling the different segments of each episode, with a clear time code for each segment as well as the episode as a whole. This makes it perfect for workday commutes, where you don’t want to get engrossed in a podcast only to have to stop listening halfway through because you need to head into the office. Andrew’s note: No such problems via iTunes. This podcast works well as an easy-access educational tool, relating often complex scientific theory to things the average listener will be very familiar with from daily life. An informative, accessible podcast with a natural, clear presenting style. Good For; Commuting, educational way to spend some time in the evening or at the weekend. 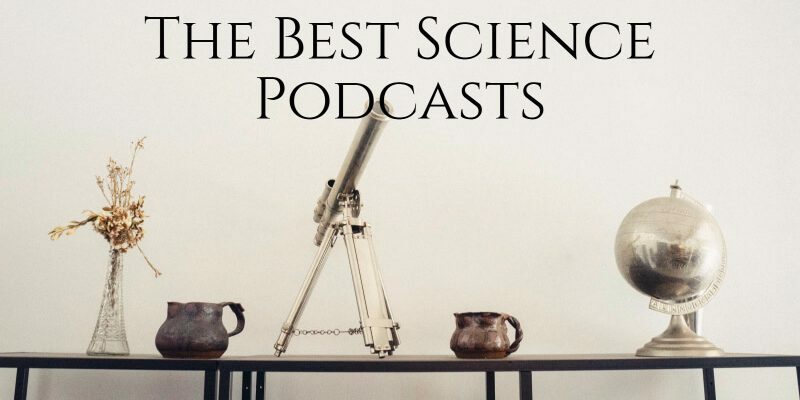 A podcast that explores the science behind the news, this is an excellent revision or study tool, and an ideal way for individuals to educate themselves further. It is somewhat let down (on my Windows phone) by the fact that the time coding is only visible once the episode is being played; many people like to know that they will have sufficient time to finish a podcast once they’ve started listening to it. Another podcast that, like The Naked Scientist, explores the science behind the news, this podcast goes to the in-depth science straight away, whereas The Naked Scientist starts off with more general discussion around the news item they’ve chosen to focus on, which most listeners would already be familiar with. This approach makes the podcast more suited to an academic audience, which is fine on the one hand. On the other, however, part of the purpose of podcasts is to bring information and experience to those who may be put off by more traditional access routes. A ‘Mythbusters’-style podcast exploring the real science behind the attention-grabbing facts, the delivery style of this podcast does let it down somewhat, being far too high-energy and informal. A somewhat informal approach is good in a science podcast, as it makes what can be a challenging topic more accessible, but presenting in an almost chaotic barrage of enthusiasm doesn’t translate well to the topic, or – since there are no visuals for people to follow – to the podcast format.